Further intimidation is addressed to journalists who ask tough questions. Members of PAS and DA as well as candidates nominated by the bloc PAS-DA continue to attack journalists who ask tough questions. This time, they attacked verbally Prime TV chief editor Ana Butnariuc who presented at the bloc's announcement of electoral promises related to education. They accused Prime journalist of destroying press conference because she addressed Maia Sandu questions regarding her work at Education Ministry. 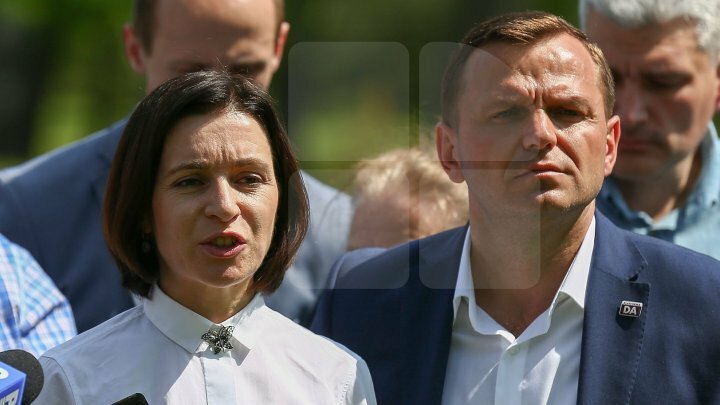 Moreover, some PAS-DA members proliferated insults right at headquarter of Maia Sandu's party. -Do you have the nerve to distract a press conference? - I did not destroy. I listened everything and asked questions at the end. How did you say it with your nerve. - With the nerve? said the candidate for parliamentary elections, Mihai Popșoi. Trouble was triggered after journalist Ana Butnariuc addressed couple of questions to Maia Sandu, while her other colleagues were trying to ruin the questions. At a moment, DA leader Andrei Năstase took Prime microphone and approached journalist Ana Butnariuc to intimidate her. - Tell me, please, what television are you from? - Can you say what's your name? - Mrs. Sandu, are you able to answer another question? said DA leader Andrei Năstase. "You're from a propaganda television that gives misinformation. You can do this propaganda at another place", said PAS leader, Maia Sandu. "Mr. Năstase, I have a question for you too. Considering you are a education politician, if everything is about education, does it allow a press to be intimidated?" asked Prime chief editor Ana Butnariuc. According to the latest polls, including one issued by the reputed American IRI organization, Prime TV is the most popular television in Moldova, where most Moldovans prefer to be informed about the political events in the country and over the horrors in newsletters and broadcasts information provided by our television station.